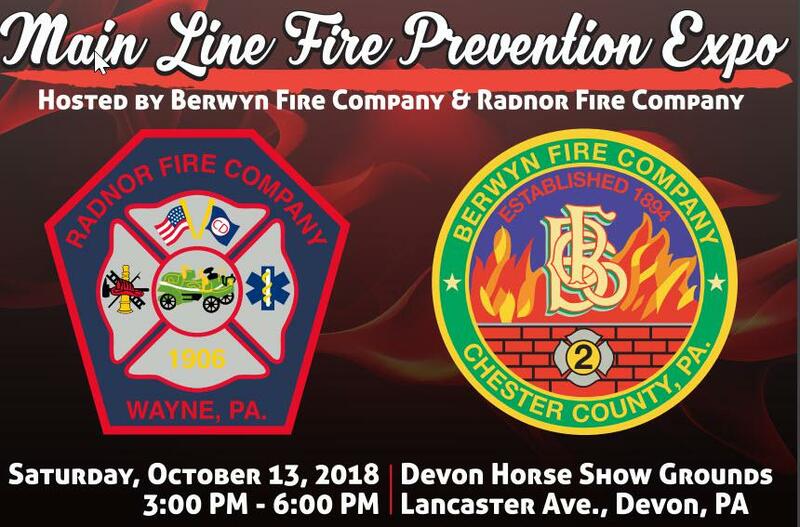 Wayne, PA— October 8, 2018— Radnor Fire Company and Berwyn Fire Company are partnering to host a fire prevention expo for families and area residents recognizing National Fire Prevention Week (NFPW) on Saturday October 13, from 3 to 6 p.m. on the grounds of the Devon Horse Show & Country Fair in Devon, Pa. Beyond safety tips, the expo will have antique fire engine rides, face painting, a firehouse moon bounce and giveaways for kids that include fire hats and draw string back packs as well as fire prevention packs which includes magnets, a wall banner, kids’ activity posters, bags with an assortment of goodies and an entertaining newsletter loaded with safety facts, statistics and life-saving strategies from the National Fire Protection Association (NFPA). Radnor Fire Company’s Auxiliary will be selling hot dogs, pretzels and drinks throughout the event. The Main Line Fire Prevention Expo is a day of learning and fun, but also a day to thank local fire departments for their dedicated work ensuring the safety of the community. The partnership between the two fire houses is a result of mutual aid when responding to calls in the area. In addition to Radnor and Berwyn, fire companies and emergency management and police officers from neighboring jurisdictions will be attending with fire and emergency equipment. There is a misconception that fire companies are self-sustaining, but in reality, they need the support of the community as much as the community needs their life-saving services. Seventy percent of the country’s firefighters are volunteer and while both Berwyn and Radnor are staffed with a cadre of full-time and part-time staff, there is a great need for volunteer firefighters, EMS providers, and business members. Emergency calls have tripled but according to the NFPA, the number of volunteer firefighters have been decreasing since the mid-1980s. Firefighters and EMS volunteers will be on hand to help attendees to learn about the dedication and incredible teamwork they show as well as the pride and accomplishment they feel from volunteering. 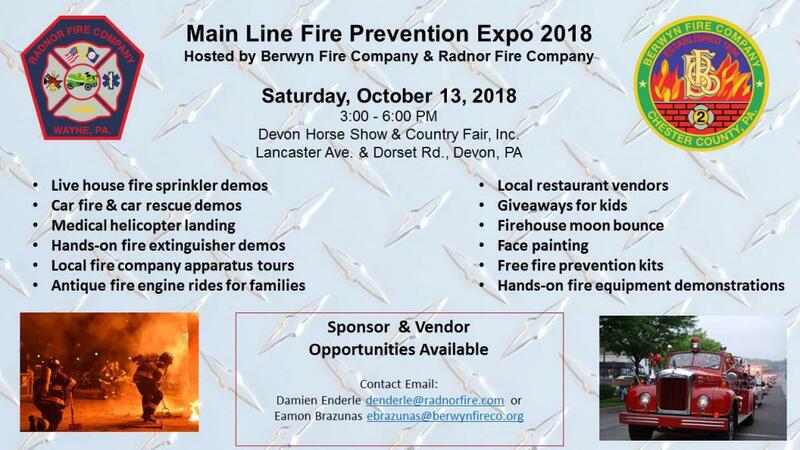 For more information about volunteering at either the Radnor Fire Company or Berwyn Fire Company, visit the departments’ websites and attend the event to speak with active volunteers.